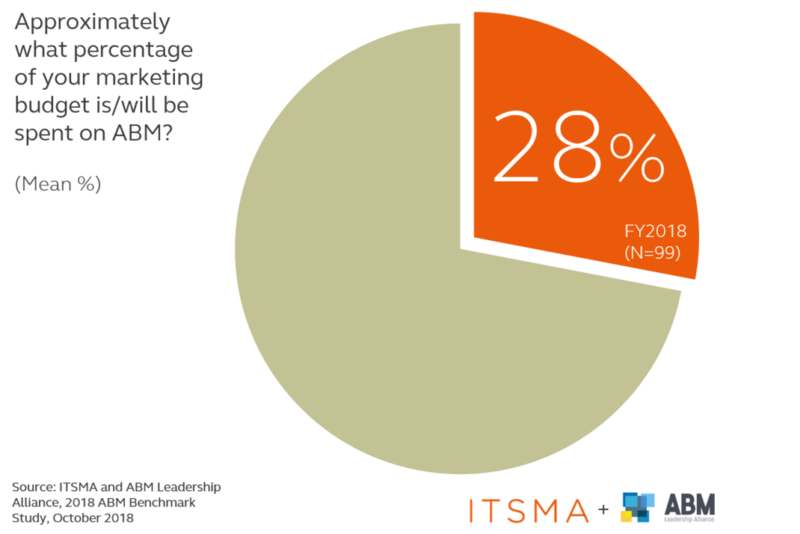 SAN FRANCISCO, CA and LEXINGTON, MA – November 28, 2018 – ITSMA, the B2B marketing leadership community that pioneered Account-Based Marketing (ABM) in the early 2000s, and ABM leader Demandbase, released today, in collaboration with the ABM Leadership Alliance (ABMLA), a research study titled ‘2018 ABM Benchmark Study’. The study found that 77 percent of B2B marketers believe ABM has driven greater success for their target accounts. ABM programs now account for more than a quarter of total marketing budgets, and ABM principles are influencing the way B2B firms go to market overall. 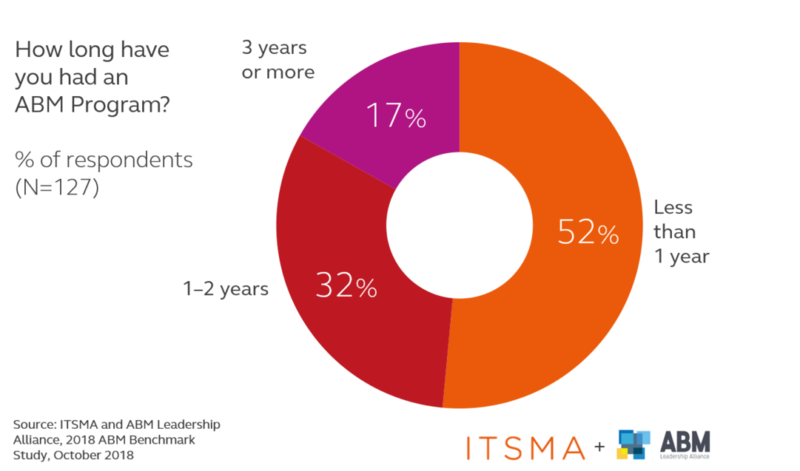 ITSMA and Demandbase in collaboration with the ABMLA announce the 2018 ABM Benchmark Study, which highlights marketers’ success with ROI & customer success.